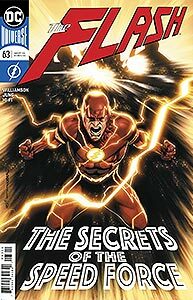 Booster Gold and Skeets interrupt the Flash as he is defeating the Samuroids to tell him about the tragic events at Sanctuary. 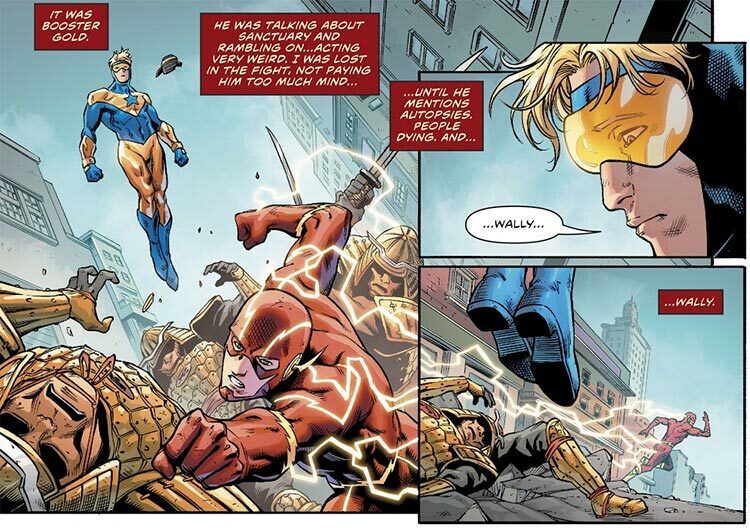 The entire scene is seen from Booster Gold's point of view in Heroes in Crisis #2. This is Booster's only appearance in this issue.